Why Do I Have Burning Eyes? It is our aim to educate consumers about dry eye syndrome and macular degeneration. We are an eye health company specializing in solutions for Dry Eye Syndrome, Macular Degeneration and preventative care for eye disease. Dry Eye (DE) is a condition where the eyes do not properly make tears, or when tears are not the proper consistency and evaporate too fast. Inflammation is also an underlying cause of Dry Eye. If it is not treated, dry eye can cause pain, ulcers, cornea scars, and even loss of vision. Dry eye is a chronic problem that typically progresses with time. Depending upon the severity and the cause, it may not be able to be totally eradicated. However, in most cases, dry eye can be successfully managed, which usually results in much greater eye comfort and fewer symptoms. Most sufferers also experience sharper vision too. Dry eye can be caused by a variety of things including; medications for glaucoma, blood pressure and others, an imbalance of Omega-6 (pro-inflammatory) and Omega-3 (anti-inflammatory), which causes systemic inflammation, so several treatments are usually advised depending upon the cause. This article details the common dry eye treatments that doctors use. An eye doctor may only recommend one of these treatments for you, or several of them, depending on what is causing the dry eye problem. 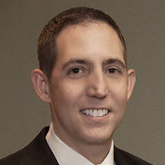 Also, doctors may have the patient fill out a questionnaire about dry eye symptoms before starting a dry eye treatment. Answers to the survey are used for a baseline, and the questionnaire could be administered again after a few weeks or months of treatment to see how effective the treatment plan is. Dry eye can occur in any type of disease process that changes anything that makes up tears, an increase in eye surface size, such as thyroid disease, and possibly cosmetic surgery where the eyelids are opened too much. Aqueous tear-deficient dry eye – where the lacrimal glands do not produce enough to keep the eye surface moist with tears. Evaporative dry eye – can be caused by inflammation of the meibomian glands in the eyelids. One recent clinical study showed marked improvement in patients with DE after taking an ultra pure Omega-3 fish oil daily, this particular study was small, but several other studies on high potency Omega-3 supplementation have also shown positive outcomes as well. One new study is the Dream trial, which stands for Dry Eye Assessment and Management, and includes 600 people. The hope is that this study will provide more clues on how much fish oil can help dry eye syndrome. Excellent sources of omega-3s in your diet include cold water fish: salmon, cod, herring and sardines. 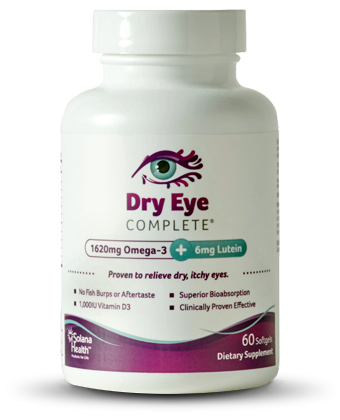 For a high quality fish oil supplement to treat dry eye we use and recommend Ultra Dry Eye TG , they offer a 30 day money back guarantee and it is the most potent fish oil you can buy. Flaxseed oil is another nutritional supplement that contains omega-3 fatty acids that can potentially improve dry eye; however, due to the poor absorption of vegetarian form Omega-3 one would need to consume around 30 grams a day to offer any benefits for DE. Another primary recommendation by eye doctors to treat DE is the use of a warm, moist compress once or twice a day for 5 minutes. The heat and moisture helps improve the performance and health of the Meibomian Glands which are key to delivering the lipids on top of your tears to keep them from evaporating and fighting Dry Eye. When choosing a Dry Eye compress be sure to select one that delivers moist heat and does not get moldy after daily use such as those filled with seeds or rice. We highly recommend the Dry Eye Compress by Solana Health because it contains an all-natural mineral, delivers moist, therapeutic heat and lasts for year. For mild dry eye cases that often are caused by use of computers, reading and other related causes, artificial tears may be the most effective means to treat your dry eye. There are many types of artificial tears that you can buy at a pharmacy. The main challenge with using artificial tears is that there are many brands and formulations available. Artificial tears are over the counter lubricating eye drops that can be purchased in a variety of viscosities and ingredients. Drops that are lower in viscosity will provide fast relief but may not last long. Drops with higher viscosity are more gel like and last longer. But they may cause your vision to blur. They are best for use at bedtime. Relief is only temporary; in some cases, must be reapplied every 30 minutes. Rather than using over the counter artificial tears, another option to treat dry eye is using a prescription eye drop known as Restasis, made by Allergan. 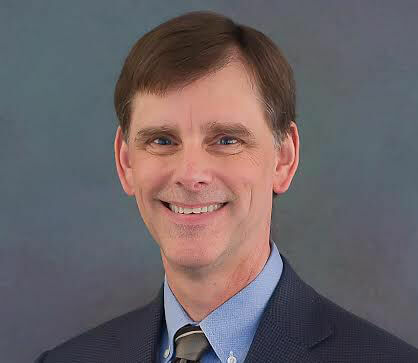 Restasis does not merely lubricate the surface of the eye; it also has an agent that cuts down on inflammation that is associated with dry eye. It also helps the body to produce more tears and keep your eyes moist. This treatment plan can take up to 90 days before you may experience relief from dry eye symptoms. Doctors have recently discovered that inflammation can cause dry eye. Inflammation is often the cause of burning and redness that you notice with dry eye syndrome. In many of these cases, it could be present without any symptoms. Artificial tears will not address any inflammation issues, and your doctor may recommend steroid eye drops. This treatment will produce a fast, short term solution to dry eye symptoms. They may be used with Restasis or artificial tears. This is a sterile, slowly released prescription lubricant that is put under your lower eye, where the eyelid meets the conjunctiva of your eyeball. It is a solid insert that is made of hydroxypropyl cellulose that liquefies over the entire day. This keeps your eyes moist at all times. Cities that are especially vulnerable to dry eye can make you feel the symptoms of dry eye more and really make things uncomfortable. If you have trouble with dry eye, you may not want to live or visit an area that has some of the hottest, windiest and driest weather in the US. The US Drought Monitor has done a recent survey of the parts of the US with the highest incidence of drought; many of the dry eye problem cities are in areas with moderate to severe drought. California has had severe drought problems, and several dry eye cities are in that state. 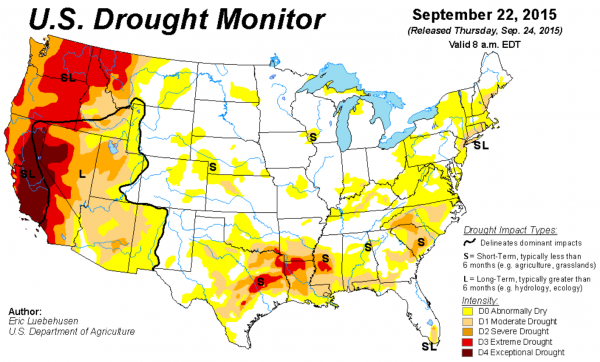 Other severe drought states include New Mexico, Colorado and Arizona. What exactly exacerbates dry eye syndrome in these cities, in addition to drought? Temperature: Very hot or even very cold temperatures can cause dry eye and other eye problems. Both very hot and very cold weather can lead to dehydration and can cause dry eye. Humidity: Areas of the US with little humidity can dry out even normal eyes, let alone what it can do to those with dry eye syndrome. Wind: Wind not only can dry out your eyes; it can put dust and dirt into the air and put it into your dry eyes. And rubbing your eyes makes it all worse. Altitude: The higher a city, the harder it is on your eyes. There is less oxygen in the air and this dries out the eyes. Pollutants: The more particulates and ozone in the air, the more it can dry the eyes. Allergens: Allergens can cause great discomfort, such as itchiness, swelling and redness. The elderly most often get dry eye, but this condition can occur at any age. Almost five million people 50+ are thought to suffer from dry eye. The majority of them are women, and tens of millions more may suffer milder symptoms of dry eye without being diagnosed. National Eye Institute: Part of the National Institutes of Health, promotes healthy eye research. Eye Health Web: Features information about dry eye cities in the US and what causes the condition. 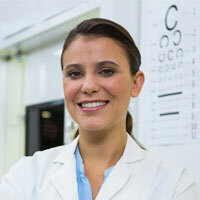 American Optometric Association: Comprehensive eye care authority, one of the largest eye care associations. WebMD: Comprehensive information about eye care and eye health. US National Library of Medicine/NIH: Controlled study of omega 3 fatty acids in dry eye syndrome. 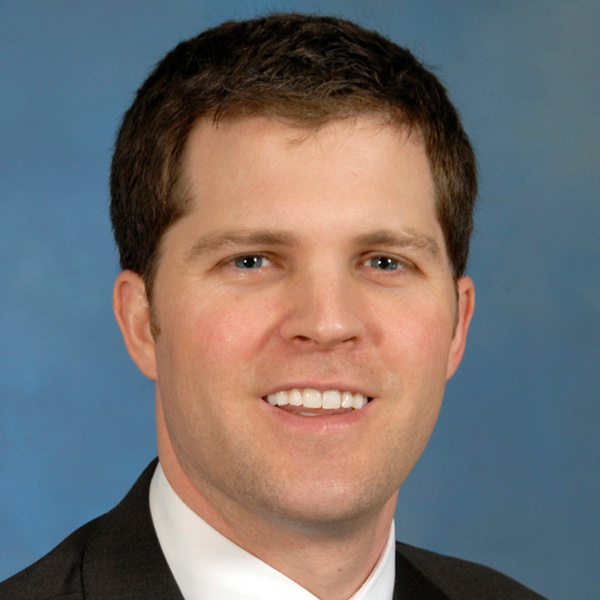 Riviera Optometry: Pros and cons of various dry eye syndrome treatments. Your Sight Matters: Contains helpful information about the benefits of flaxseed and fish oils for dry eye.